♣ Chunji ♣. . Wallpaper and background images in the Chunji <3 club tagged: chunji teen top lee chanhee visual funny cute lead vocalist. 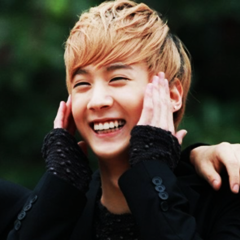 This Chunji <3 fan art contains potret, headshot, closeup, and headshot closeup. There might also be berpakaian seorang, guaman, seluar guaman, pantsuit, orang baik berpakaian sut, and penekan seluar.